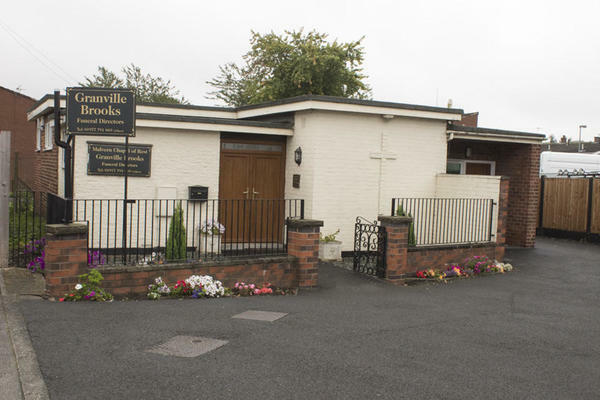 At Granville Brooks Funeral Directors in Featherstone, you can trust us to take care of your loved one and arrange a funeral service that is dignified, meaningful, personal to you and your family. We understand that losing a loved one is never easy. No one should have to go through this difficult time on their own. We will guide and advise you through every step and help ease any conern you may have about arranging a funeral. Your wishes will be adhered to and all your special requests fulfilled. You have the freedom to choose the type of farewell you want for your loved one, whether that is a cremation, a religious funeral, a contemporary service like a woodland burial or something entirely bespoke. Whatever you believe is best for you, your family and your loved one. We understand that this is an emotional time for you and your family, so please do not hesitate in getting in touch with us. We are here for you. Call us today on 01977 791869 to talk through your personal requirements. At Granville Brooks Funeral Directors, we understand how special life is with those that you love. For us, every funeral is unique and personal. We have a service to fulfil every wish, with every detail carried out with the same uncompromising quality of care. From a traditional service, to a colourful woodland burial, your options are limitless with our Full Service Funeral. If you have a little more flexibility when it comes to arrangements, then we can provide a Simple Funeral for a lower cost. There is free off road parking available at our funeral home. We are located on a residential estate, behind the main road off Green Lane. Our staff are available 24 hours a day on 01977 791869 if you require our services outside of these hours. Everything organised perfectly. Staff all helpful and polite. In difficult circumstances Granville Brooks were a pleasure to deal with. Many thanks for your help. Thank you for taking the time to complete the online review. I am glad we were able to provide you with the support and guidance needed and that we were able to help make things easier for you at such a difficult time. Thank you for your online review. I am pleased that you were so well looked after by our team and that all of your wishes and requirements were carried out by the team as you had requested. we wear very pleased with everything the staff did for us from start to finish a big thank you. The feedback I am giving here is for Granville Brookes not J D Burke. As Burke's were experiencing staff problems they couldn't deal with any paperwork so we transferred it all to Brookes. The staff there were extremely helpful and talked us through everything thoroughly. We couldn't have asked for anything better. We would like to thank Mark & his team for ensuring that Mums funeral was organised & carried out in a very dignified manner. We were kept well informed of all the arrangements every step of the way & would have no hesitation in recommending him to others. Thank you for sharing your experience with us on your online review. I am pleased that the arrangements for your Mother were carried out to your satisfaction and that you were so well looked after by our team. Thank you for taking the time to complete the online review. I am glad that we were able to provide you with the care and support needed at this time. All staff were very sympathetic and helpful. The funeral was well planned and well organised on the day. Communication was very good in regard to the all the arrangements. My one slight point of confusion, and it may be that I missed something during the initial meeting, was the designation and distinction between the three levels of service( ' Full', 'Limited' and 'Simple') which could, potentially have been a complication for payment of the deposit, but everything worked out perfectly in the end. Thank you for the kind comments posted on your online review. I am pleased that you were so well looked after by our team and that we were able to help make things easier for you at such a difficult time. We always aim to provide the highest level of care to our families and your comments will be taken on board. The funeral arrangements were delivered in a very professional and efficient manner. Mark and his staff were fantastic. Very sensitive & very easy to deal with. The funeral went very well with Mark talking us through every step. I can’t thank him enough.